Look at the photo above. Kristin Holte on the far right, fourth place, is the only non-Icelandic athlete. Hjördís finished 11th at the Meridian Regional and recently placed 2nd at the French Throwdown 2015. Her background is football (soccer) and basketball. Video: Rack jerk with 105 kg. 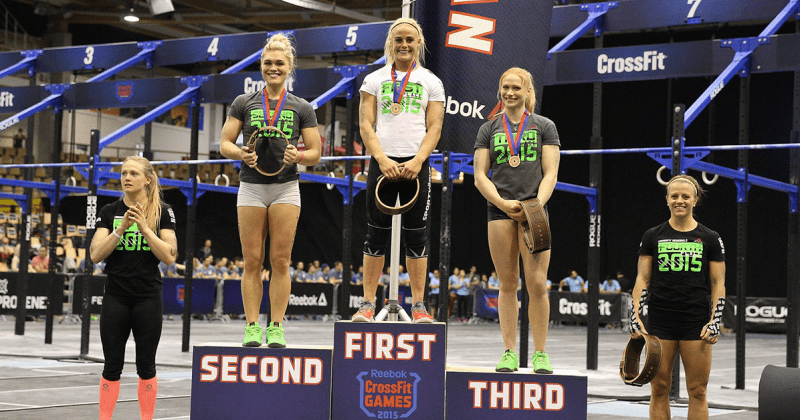 Sources: CrossFit Games, Wikipedia, Wired, decode.